When the body is stressed, the immune and nervous systems can be affected, leaving a person depleted. Adaptogenic herbs such as Ashwagandha Root help nourish and restore optimal nervous and immune system health by normalizing mood, energy levels, and overall immune function. 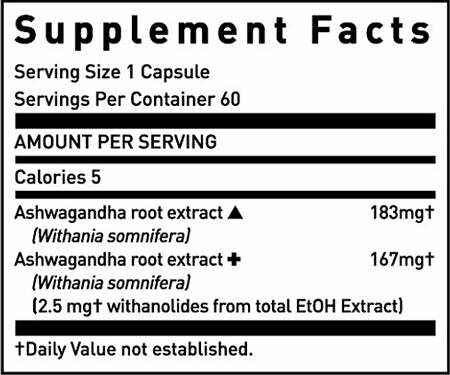 * Gaia Herbs uses certified organic Ashwagandha Root root with guaranteed levels of active withanolides.